Construction workers all over the world prefer Topcon laser level for the accuracy it gives. Some even calling Topcon RL-H4C Rotary Laser Horizontal Level Dry Battery the best Rotary laser level they have ever used. We did many laser level reviews, but we are yet to cover this particular product. Topcon found its place in home tools market. From construction workers to handyman dads, everyone is picking Topcon laser level. Let’s take a closer look at Topcon laser level to find out what makes this product different than other available laser levels in the market. Topcon RL-H4C Rotary Horizontal Level Dry Battery looks very different. 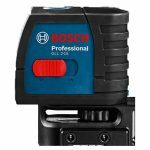 From the first look, one understands that this laser level is not like the under $50 laser level one gets for home use purposes. This laser level looks more advanced. It really is. However, the design is not complex; it is actually very simple and easy to work with. The big knob in the front does all the adjusting work. Other buttons are just above the knob. Topcon rotary laser level looks very stylish. Cream and black color combination gives the laser level an aristocratic look. Now most of these features are part of almost all new age laser level. But there is a twist, Topcon laser level specialties actually work. Long lasting battery and the case are great for construction workers who need to travel with their laser level. 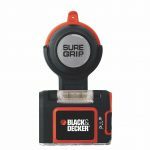 This laser level works up to the range of 2600 feet, this feature alone makes it different than other ordinary laser levels. 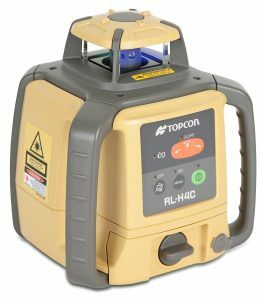 Topcon RL-H4C Rotary Laser Level Dry Battery has some new features. Rotary laser levels are easier to use. One has to just set up the laser level on a tripod. Rotary laser levels give the accurate signal. But sometimes it becomes hard to get the leveling done with rotary laser levels. Sometimes rotary laser heads move very fast, for professional workers this is okay. But homeowners trying to install a ceiling by themselves find it hard to get the measurements done when rotary laser level head. Topcon laser level head speed is just perfect. You do not need to change the position of the laser level, but at the same time, you get time to make all the required marks. But this is not all, Topcon RL-H4C Rotary Laser Horizontal Level Dry Battery has many other positive points, here they are. The range is huge. You can work in a really big room. You can set the tripod at the end of the room and it will reach everywhere. Powerful signal, you can work with light on in the room. The dry battery is a unique concept. One time charge and it lasts for more than 90 hours. You need to use a laser level no more than 30 minutes for a one time work, so one time charging is enough for more than one month of work. Cross self-leveling, a feature that is really helpful while working on the roads. User manual tells how to assemble the laser level in very simple words. Anyone can understand it. Probably the only laser level that comes in a really hard case. You can travel with product easily because of the hard case. Water resistant, again great for working on roads. Nothing is bad, but the price of this laser level is really high. You can only buy this product if you are a professional construction worker. You cannot buy it as a home improvement tool. Who is this laser level for? A laser level is a fun tool to have in the home. It makes installing work real easy. It also makes you feel cool to do all the marking work. But as I said before, this laser level is costly and this is why not everyone can afford it. 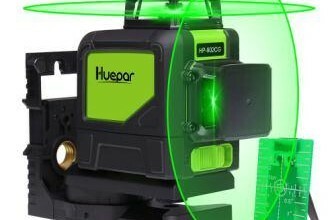 However, this is probably the only laser level which gives accurate and fast leveling in both indoors and outdoors, so for construction workers, this laser level is a must have, no matter how costly it is. 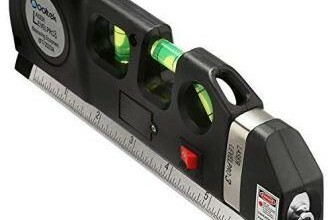 This laser level is great for installing modern shelves and large ceilings. You can buy this laser level if you can afford it. It is a good tool to have at home. Topcon RL-H4C Rotary Laser Horizontal Level comes in a hard case. Keep the laser level inside the case. Turn the laser level off after the measurements are done. It saves battery and it also lasts long. Keep the product away from direct Sunlight. Topcon gives five years warranty for this laser level. They also have great customer service. It is better to call the Topcon customer service, in case there is some problem. They are always ready to assist you. Why choose Topcon laser level instead of others? This is an important question. There are other Rotary laser levels available on the market. Those are also much cheaper than the Topcon RL-H4C Rotary Laser Level Dry Battery, so why do you choose this one? Amazon users are buying this particular laser level a lot. They are yet to give a negative review for this laser level. Amazon posts real reviews from real customers only. This laser level is really good. It is costly, but it actually works. Topcon probably made the Best laser level we have ever used. This product saves a lot of time. It is capable of performing the real complex task. This is also an all purpose laser level. It is good for both indoor and outdoor works. So keeping all these in mind we can say that this laser level is absolutely worth the price. 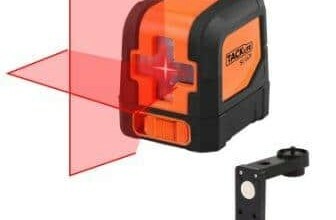 So, this was our Rotary laser Level review, hope it will help you in choosing the right product.